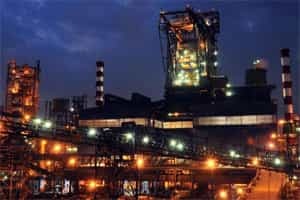 Mumbai: Tata Steel Ltd, India’s largest steel producer, posted an 89% fall in consolidated net profit in the three months ended 30 September, a worse than expected decline due to waning demand and higher raw material costs in Europe. The median profit estimate of 28 analysts in a Bloomberg survey was ₹ 839 crore. “Higher raw material costs and lower average selling prices made the normally quiet summer quarter particularly testing," Tata Steel Europe managing director and chief executive officer Karl-Ulrich Köhler said. Rising costs of key inputs combined with falling demand for metals have squeezed steel makers, even as they seek to overcome the industry’s worst slump in decades following the global recession. Commodity sales have waned since June on concerns that Greece and other euro zone nations may default on debt and China’s economic growth has slowed. Steel prices had fallen by $30 a tonne in the second quarter compared with a year earlier, while raw material costs rose by $50 a tonne in the same period, the company said. Total costs rose 20% to ₹ 31.156 crore while raw material expenses climbed 15% to ₹ 10,831 crore in the quarter, it said. Tata Steel Europe, which contributes about two-thirds of the group’s output and buys all the raw material it needs from outside, faced a 40% increase in coking coal prices, and a 14% surge in the price of hot-rolled steel coils. Cash iron ore prices at Tianjin port in China rose 28% on average in the quarter from a year earlier. The global steel industry is facing an uncertain outlook in the face of economic slowdown in the West, with European firms announcing production cuts in the face of falling demand. Köhler said Tata Steel Europe will follow the footsteps of its peers and may cut production in the next quarter due to the demand slowdown. Shares of Tata Steel, the world’s seventh-largest steelmaker, fell 4.1% to ₹ 448.80 on Wednesday, underperforming the benchmark Sensex’s 1.2% drop. Stock markets were closed on Thursday due to a religious holiday. The stock has declined 34% so far in 2011, compared with the 15.3% fall in the benchmark gauge on the Bombay Stock Exchange. Indian long steel products producers like Tata Steel will be under threat due to a fall in the prices of these products in Europe, Standard Chartered Equity Research’s Satish Kumar and Saurabh Prasad wrote in a 30 September note to clients. Bloomberg and Reuters contributed to this report.